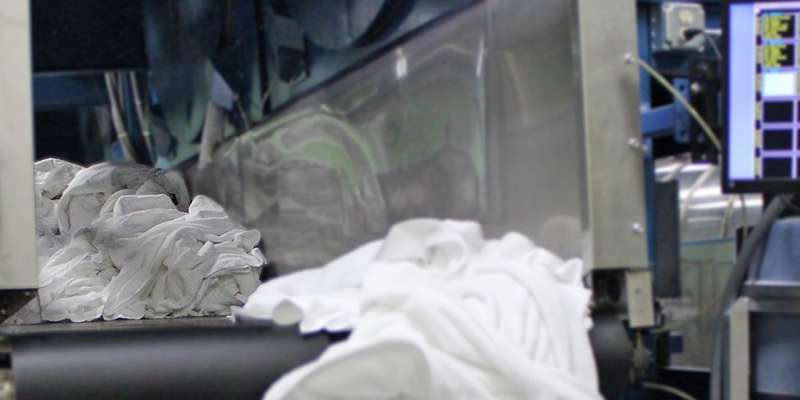 Wisconsin Hospitality Linen Services has been providing industrial laundry services to hotels in Milwaukee and the surrounding areas since 1996. The business was originally founded to serve the linen needs of only a few local hotels, but the operation quickly outgrew its original capacity. In 2001, WHLS moved to its current operating site just across from the Mitchell International Airport on Milwaukee’s south side where it began handling 5-million pounds of linens annually. By 2016, WHLS doubled its capacity and processed 10-million pounds of laundry. To accommodate the continued growth, the laundry facility underwent a $2.3 million equipment expansion with a state-of-the-art 10-module, 110-pound Milnor tunnel washer and five Milnor dryers along with two 60-hp Cleaver-Brooks boilers and two 75-hp Quincy compressors. WHLS is a customer-owned goods (COG) plant with an extensive knowledge of the hospitality industry. The linen cleaning services company works with hotels, spas, and fitness centers where it processes bed sheets, towels, robes, table cloths, napkins, and more on a 24-hour turnaround. We do everything we can to provide exceptional customer service. When you work with us, you’ll have a professional liaison that understands you and your business. Your dedicated account manager will help you manage all of your linen needs. 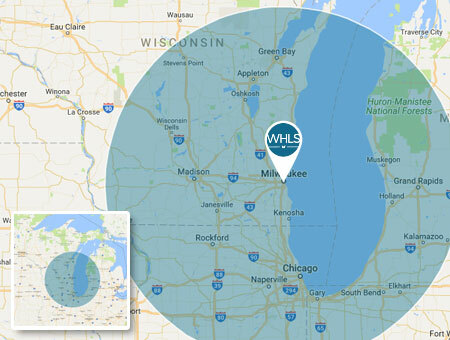 We now serve clients within a 150-mile radius from Milwaukee, WI. Review our service area as well as the major counties and cities we work in below. If you’re not in our current range – not a problem! Contact us today to see how we can help.